If you haven’t heard of the debacle between the BBC and the Kennel Club over the last twelve months, then where have you been? 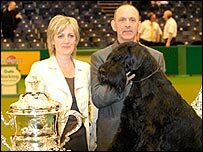 Last March, Crufts was bathed in loving attention from 160,000 dog loving visitors and attracted more than £14 million viewers to its BBC showing, but that was before the BBC showed its pedigree exposé, Pedigree Dogs Exposed in August 2008. Since then, the Kennel Club has lost valuable sponsorship from both the RSPCA and the Dogs Trust amongst others and, following further arguments with the BBC where the Kennel Club refused to ban 14 ‘problem’ breeds from Crufts (namely the bulldog, Pekingese, mastiff, chow chow, the bloodhound, german shepherd, clumber spaniel, dogue de bordeaux, cavalier king charles, basset hound, neapolitan mastiff, shar pei, rhodesian ridgeback and the saint Bernard), it was dropped from the BBC schedule for the first time since 1966 in a move that some say was hypocritical as the BBC’s Eastenders later featured a Saint Bernard being used as a show dog and a stud dog. 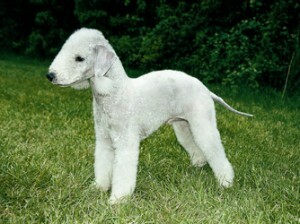 Crufts 2009 is still to proceed, but will no doubt suffer from all the negative press received.